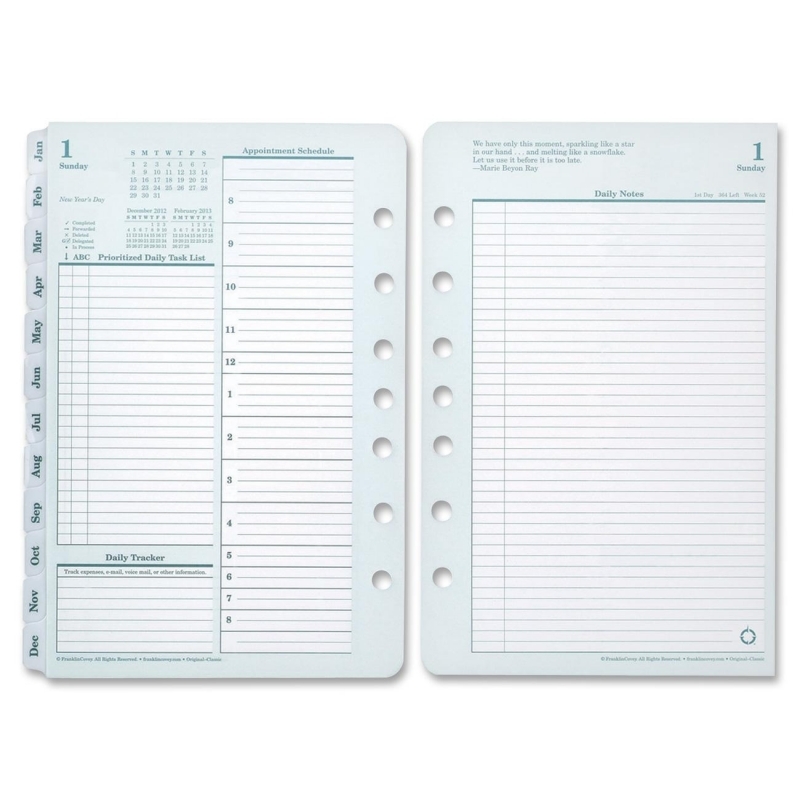 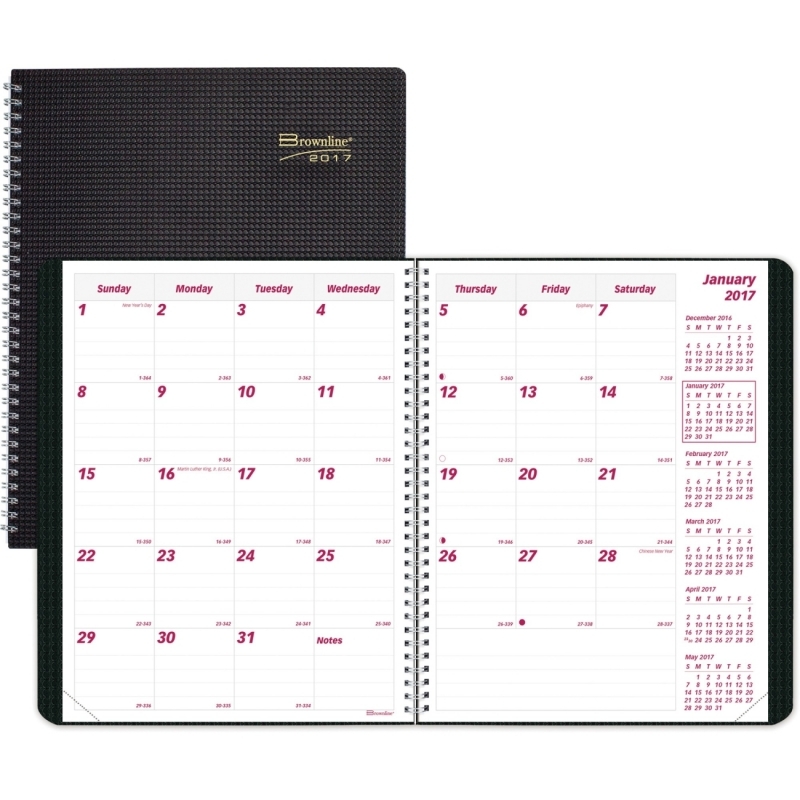 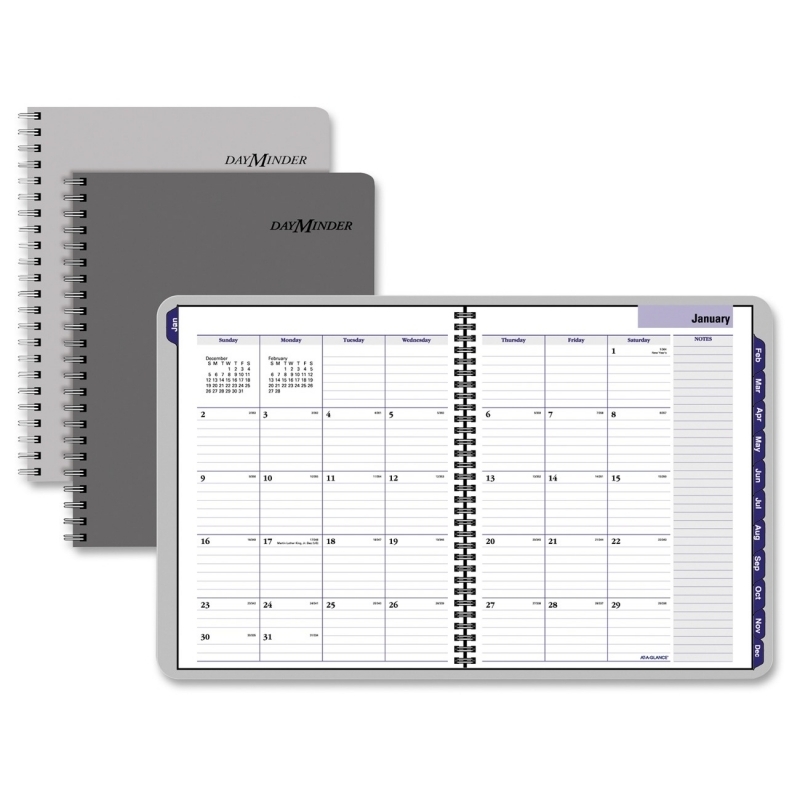 Wirebound weekly planner features a two-piece leatherette cover and academic format. 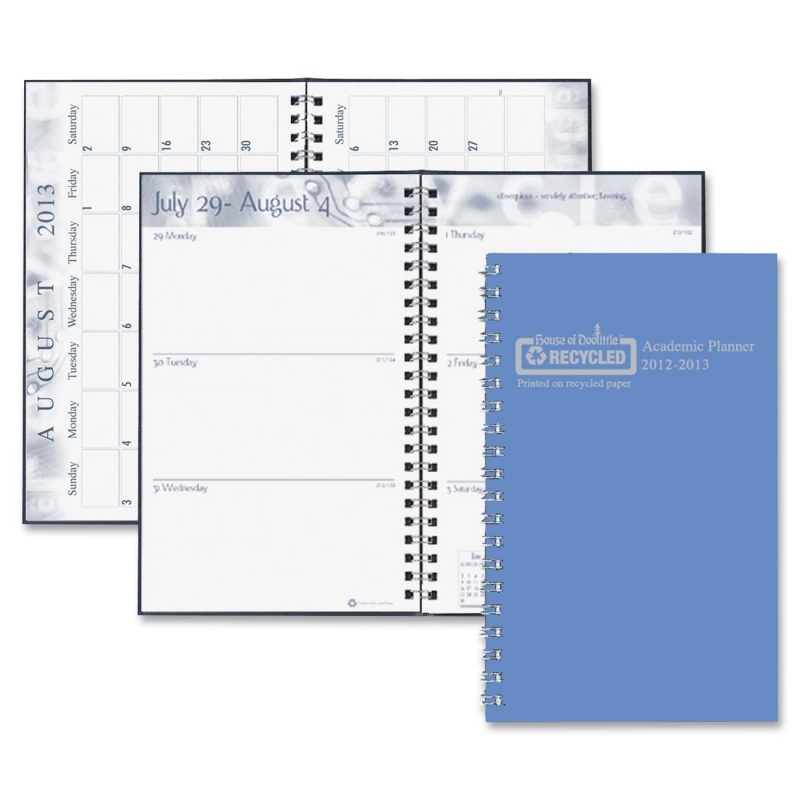 Dated planning pages range 13 months from August to August. 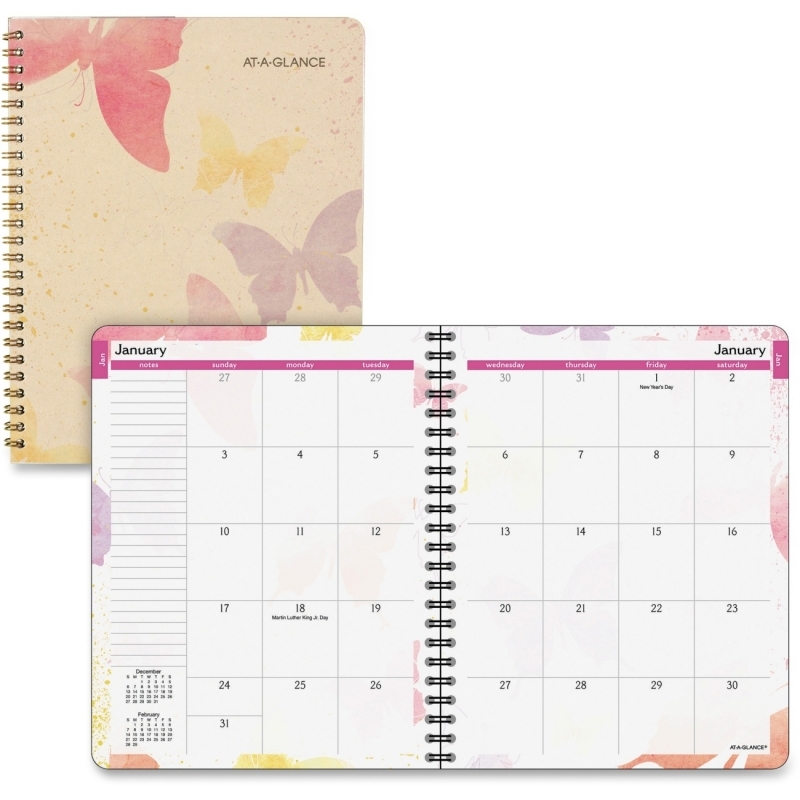 Two-page-per-week spreads include ruled daily entries, count of days/days remaining, Monday-through-Sunday scheduling, and past, current and two future months reference. 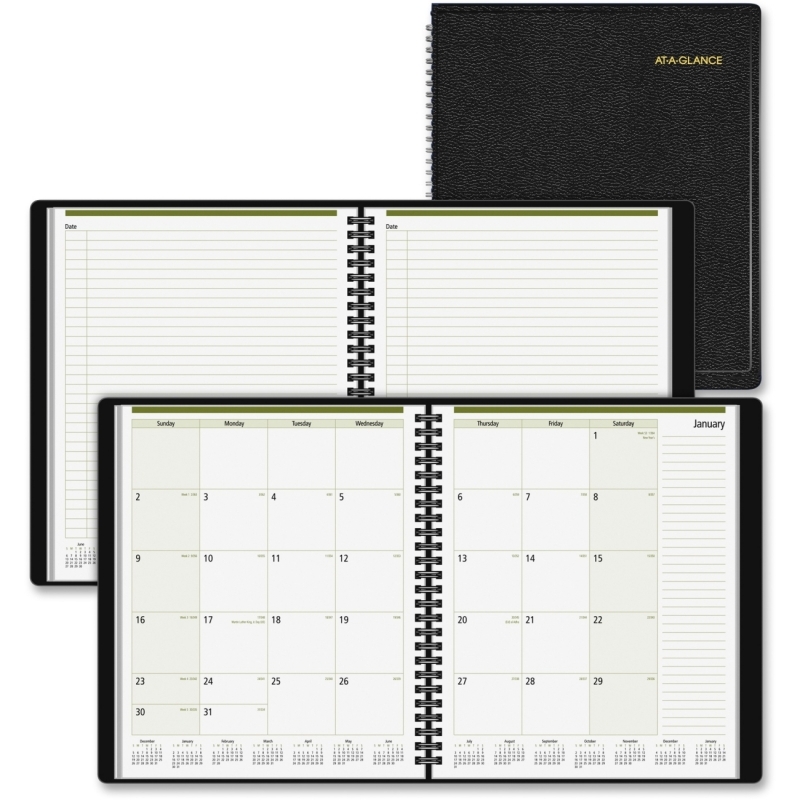 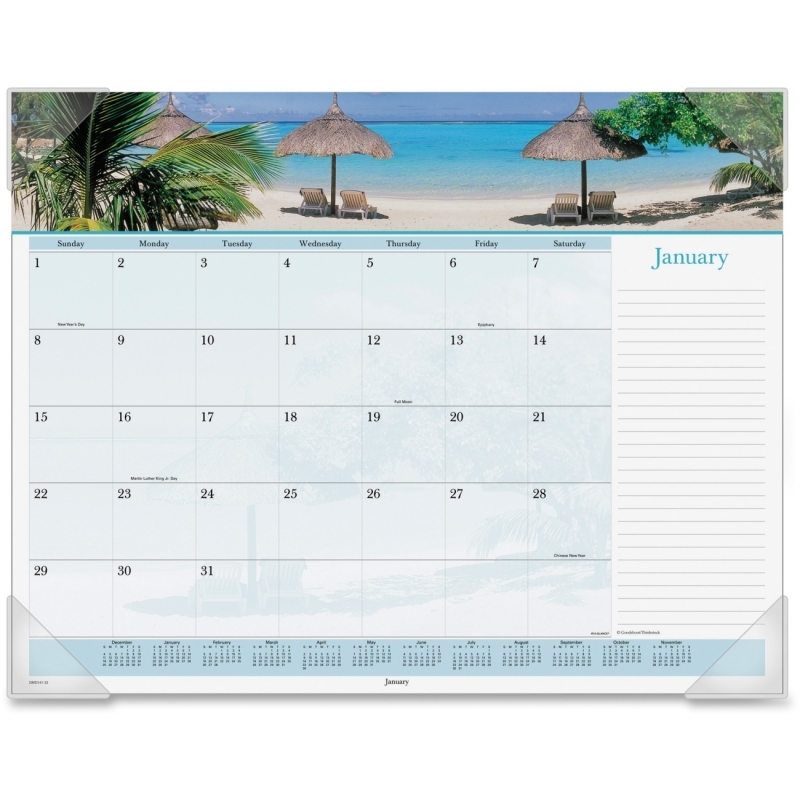 Monthly planning section offers two-page-per-month calendars from August to August. 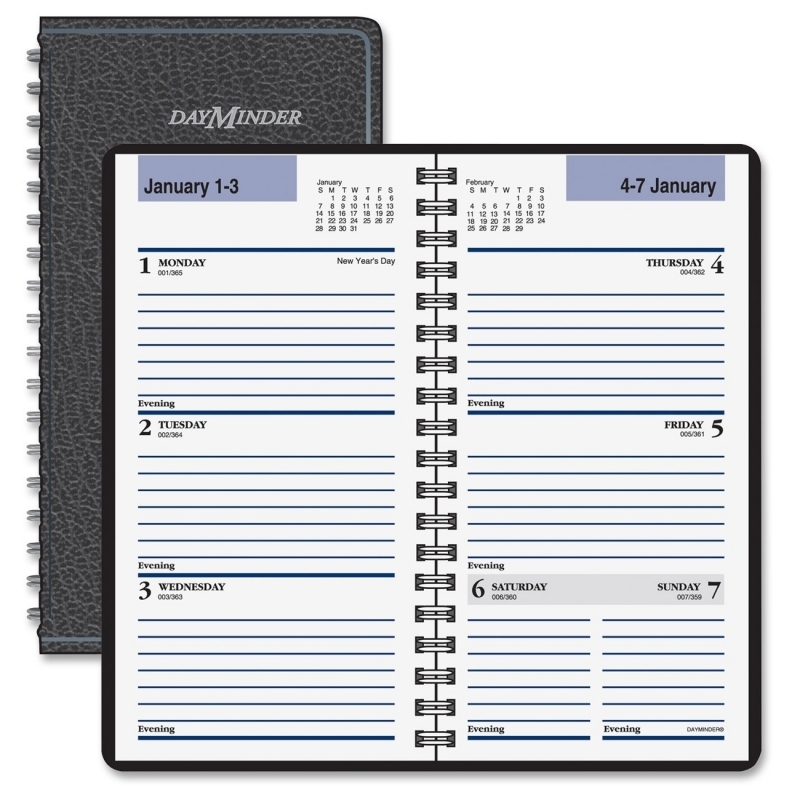 Each monthly spread has unruled daily blocks and Sunday-through-Saturday scheduling. 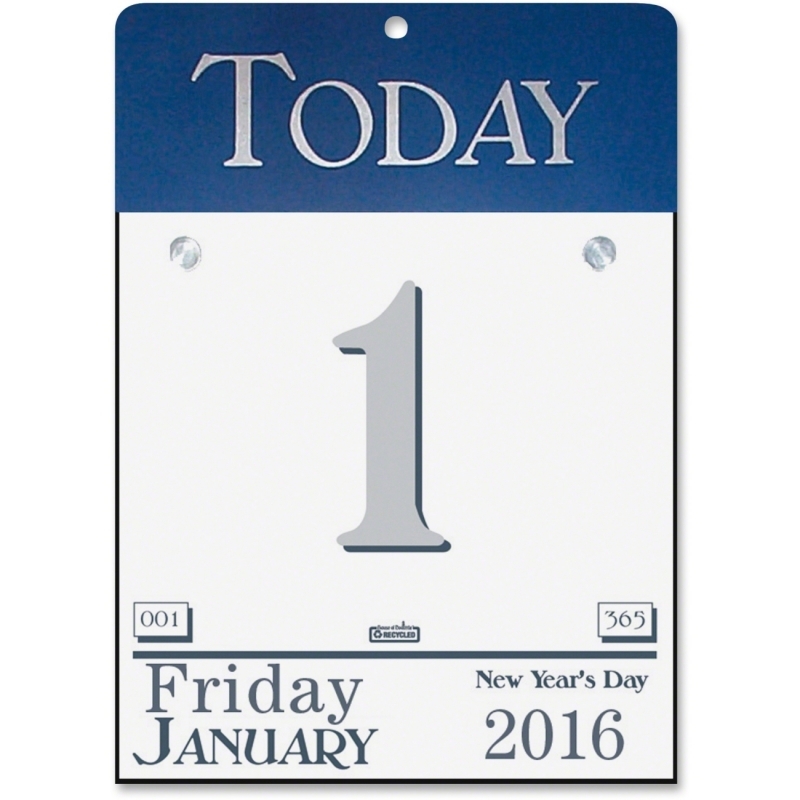 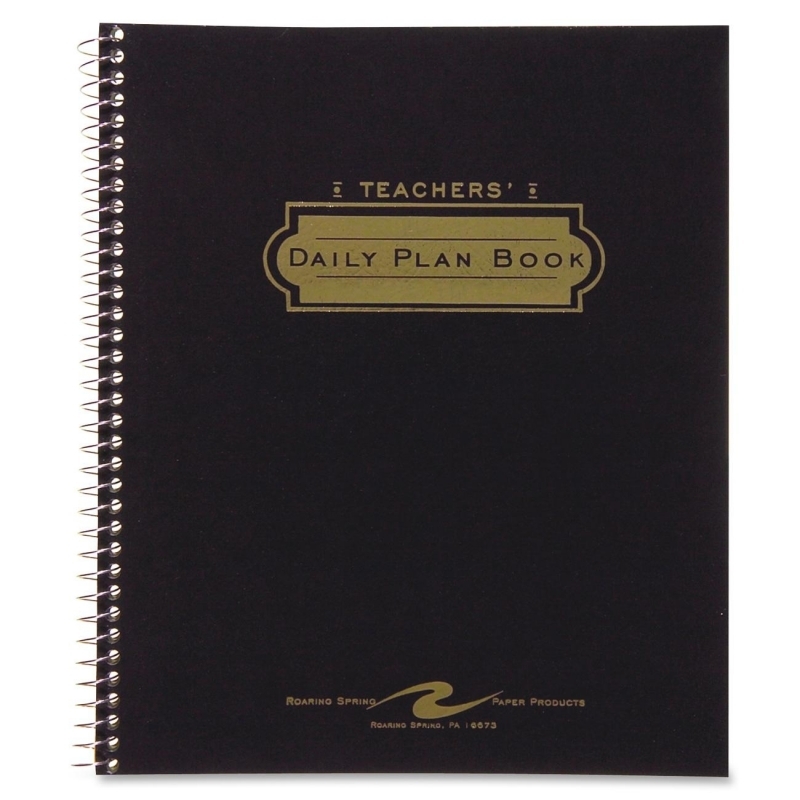 Planner is printed with soy ink on paper made with a high percentage of recycled material.